Totally forgot to post these Beauty Bin items. They got lost on my old hard drive along with some other posts. Let's go! Love this, have been using it since half a year and just killed another one and have a back up ready. I love the brush and the fact that is not so expensive. Maybelline make the best drugstore mascara's. This brush is slightly bent, which I normally like. However, it doesn't get to all the lashes and the root of the lashes like the The Rocket. It is great for a more natural look, even though the name says False Lash Effect. Don't really agree on that. A tiny tiny wand to really get to the lower lash line. I bought a couple of these, but don't really use them now anymore. I really liked it pre Vincent, now I just go for one mascara to do the job, upper and bottom lashes. If you got the time and money to spare, go for it! This has been my favorite high end foundation for many years. It is great for combo skin types and also has an spf of 25. Not too great for traveling because of the glass packaging. At the moment I only have one high end foundation in my collection and tend to use more high street nowadays. A life saver for a nail noob. It is affordable and does the job really well. Killing lots of these. A must buy! A good and very affordable wipes. Doesn't irritate the skin and takes of the majority of the make up. This are my favorite make up wipes. I have one in my suitcase, my closet and my make up bag. 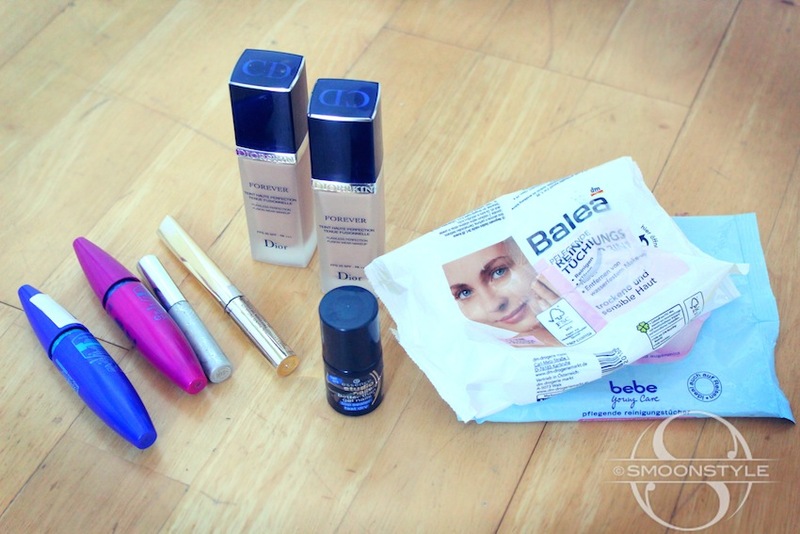 It claims to take off waterproof make up but the Rocket mascara is very stubborn and needs a liquid make up remover. I always use these wipes as a first step in taking off my make up. 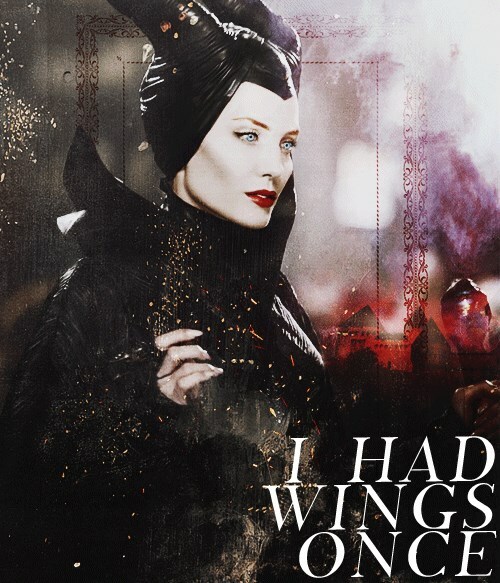 Maleficent is out and Angelina is everywhere. I personally love her and love her current make up look. She never goes for strong colors, only for a red lip every once in a while. Her look is simple and natural. 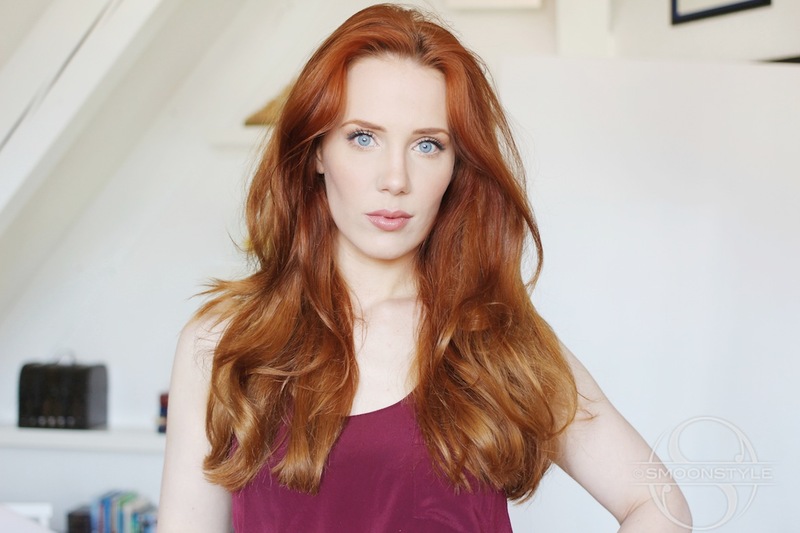 I gave it a go and used only matt eyeshadows on the eyes and packed on the bronzer. I threw my hair in jumbo hot rollers and finished them off with some hair spray. Did any of you guys see 'Maleficent' already? I haven't, but check these out! I found these on some of my Facebook Fan Pages. I love them! After all those food posts, you must be thinking that this is also about food, but you're wrong :) Sally Hansen has a new Limited Edition 'Designer Collection' by Tracy Reeds in stores. One of my favorite colors has to be 'Mojito'. I love the drink, I love the color. I would describe it as a pastel green with a hint of neon. Sometimes it even looks a bit minty. It just screams summer and is a nice, fresh pop of color for on the nails. The brush is nice and rounded, the consistency is creamy and it has a glossy finish. The quality is amazing and I love the fact that is a 7 in 1 complete salon manicure. I did also apply a top coat, just because that is my thing and it evens out my horrible application technique. 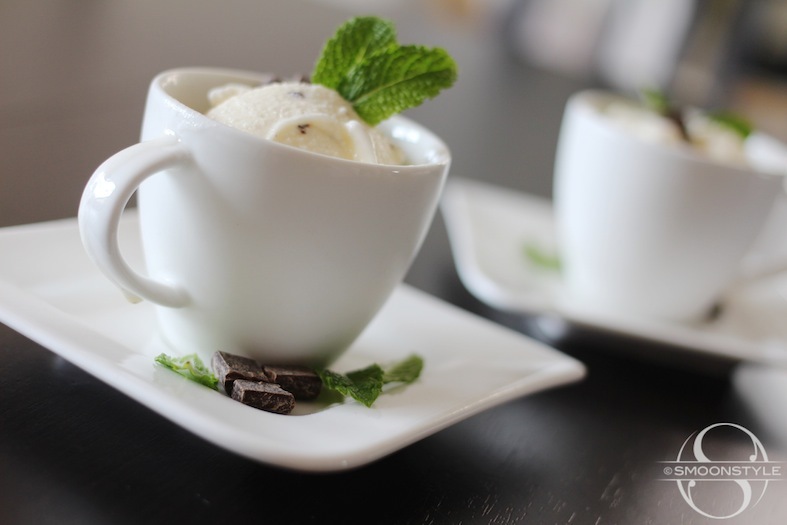 Meet one of my pregnancy cravings that has stayed with me: Mint Chocolate Chip Ice Cream. I know it is not for everybody. Some people don't want their ice cream to taste like tooth past, but I love it! It is hard to find at super markets and my local ice cream shop doesn't always have this in their selection. At Breuninger in Sindelfingen, the local 'Gelateria' has an 'After Eight' ice cream flavor and I gobbled that up more than you can imagine. After a while it was getting really expensive to buy and I was in the mood for trying to get my fix, by my own. Kinda. I bought stracciatella ice cream and peppermint syrup. I melted the ice cream and added the peppermint syrup and froze it back up. I made it cave man style. It was nasty. Too sweet and just nasty. Thanks to Laura Vitale recipe and the ice cream maker (Mia) from my friend, I could make it from scratch. I used Peppermint oil, it is much stronger than peppermint extract, so I took only a couple of drops and always tasted after I've added more. This way you don't turn it into tooth paste ice cream. Besides that I didn't add the food coloring. The rest is all the same as Laura's. 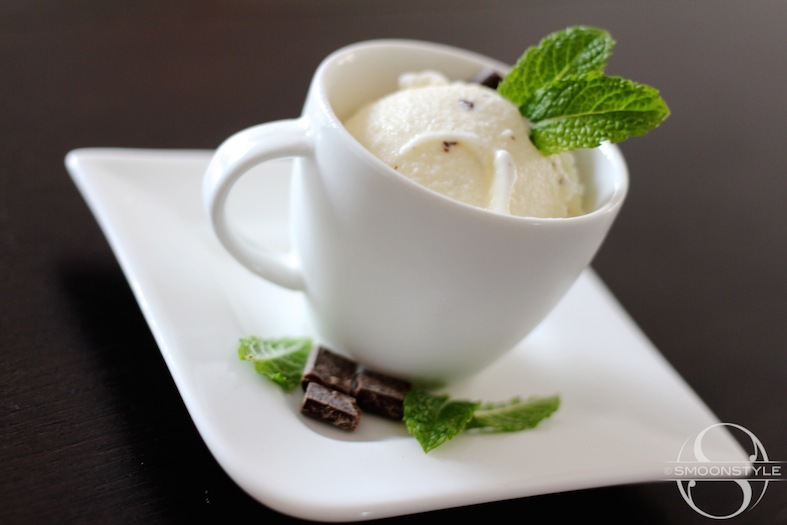 Do any of you love mint ice cream?